You MUST telephone the surgery at which you are registered. Appointment Lines are open between 9:00. and 12:00 Monday to Friday, between 17:00 and 18:30 Monday and Friday and between 16:00 and 17:30 Tuesday and Wednesday. Please note that on one Tuesday afternoon per month, the surgery will be closed as clinical staff have to attend meetings arranged by our CCG. On those days the surgery will be closed and the appointment line will be unavailable. If you cannot keep an appointment, please let us know so that another patient can make use of it. We prefer children to be accompanied by a parent or guardian. Appointments have to be booked via NHS 111. The best time to talk to a doctor is after morning surgery, which is usually after 11.30. However, it is easier for the doctor to have your medical records available, so if they are at the other surgery site, you may be asked to ‘phone back at another time. Home Visit service is provided for patients who are too ill to attend the surgery, are undergoing palliative care or are truly housebound for whom travel by car would cause a significant deterioration in their medical condition. It is considered that the patients may be better assessed and may be treated more rapidly and effectively by attending the surgery, rather than waiting for a doctor to visit them at home. They will be seen in a more appropriate environment where necessary facilities are available for examination, requesting investigations and facilitating referrals if required. Patients are advised to contact surgery before 11 am on the day to request a home visit if needed. This gives the doctors an opportunity to plan their time efficiently. A brief history of your complaints will be obtained by the receptionist and will be passed over to the doctors. The doctors will then decide if your request for a home visit is appropriate. If not, they can give telephonic advice or request you to attend surgery on the day. According to NHS guidelines transport problems are not an acceptable reason for requesting a home visit. We expect patients to try their best to attend the surgery on their own. You can consider using a Taxi, Dial a Ride, London Taxi Card or request relative/friend or neighbour to bring you to the surgery. 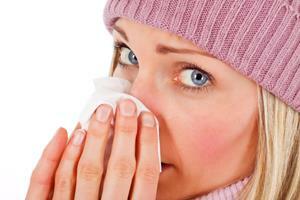 Home visits should not be requested for common colds, cough, earache and headache. Home visit should not be requested for common childhood problems. In the event of symptoms of Heart Attack (chest pain)/Stroke please call 999 for an ambulance to get you to the hospital as soon as possible. We offer additional Emegency slots which are available each morning and afternoon at the end of each surgery. Please telephone the Appointment Line in the morning when surgery opens for bookable emergency appointments available in the morning. Please telephone the Appointment Line in the afternoon when the surgery opens for bookable emergency appointments available in the afternoon. You will be advised by our reception team when the emergency appointments are full and given a number to the Hub where you can telephone and obtain an appointment the same day. Please check our Home page on this website for further information about the Hub. (under the header 'useful information').